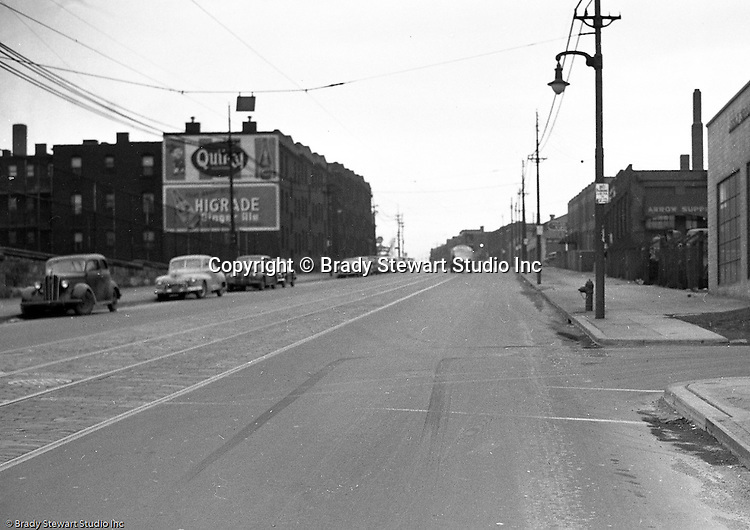 Bloomfield Section of Pittsburgh: View of an accident scene at the 3500 block of Liberty Avenue for Railway Express - 1950. During the 1950's, Brady Stewart Studio was a contract photographer for Railway Express, predecessor of the Port Authority. Brady Stewart Studio would send photographers to the accident scene and also photograph the damaged vehicles for court cases.